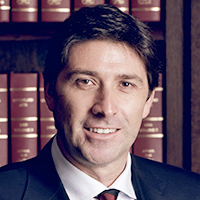 John Baartz is a barrister at Level Twenty Seven Chambers in Brisbane. He has over 20 years’ experience handling complex building and construction, insurance and professional negligence litigation in Australia and overseas. Whilst practicing predominantly in the building and construction field, John also appears in a broad range of commercial disputes, including contract law, insurance, professional negligence, insolvency, and trade practices. He appears in all courts, arbitrations and commissions of inquiry as well as in mediations and other forms of alternative dispute resolution. Doyle’s Guide to the Australian Legal Profession: he is listed as a one of the leading Construction & Infrastructure Junior Counsel in Australia (2017) and Queensland (2015, 2016 and 2017). He is also listed as a leading junior for Commercial Litigation & Disputes in Queensland (2016 and 2017). John was called to the Bar in 2010 and prior to this he was a partner of a national, now international, law firm, where he was in charge of the firm’s Australian Projects Litigation stream.